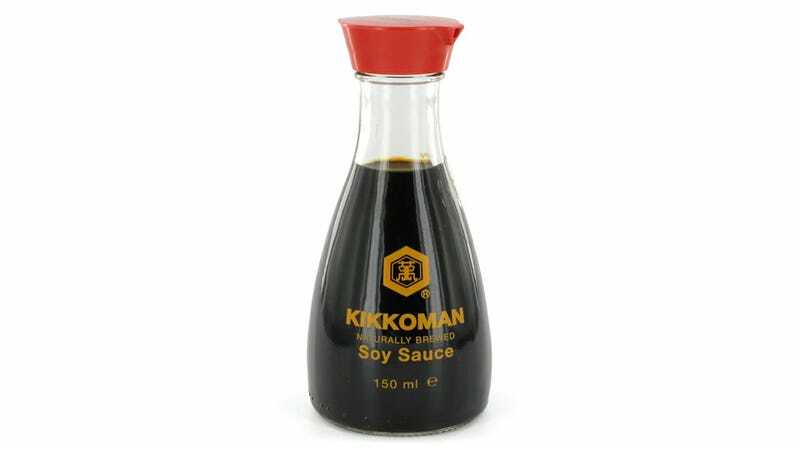 You probably take it for granted while dining on sushi or dumplings, but that iconic Kikkoman soy sauce dispenser has been in production since 1961. And as the New York Times' Leslie Camhi discovered, it was actually developed by Kenji Ekuan, a Japanese Navy sailor former naval academy student who dedicated his life to design when he left the service. As the story goes, Kenji Ekuan's younger sister was killed by the Hiroshima atomic blast, while radiation sickness took his father's life a year later. And after seeing the devastation left by the bomb while riding the train home one day, he decided to dedicate his life to making and designing things. Over his 60 year career he was responsible for many recognizable designs, but none more ubiquitous or iconic than the Kikkoman soy sauce bottle.